Everyone knows the Art of War 孙子兵法 by military strategist 2,500 years ago Sun Tzu. 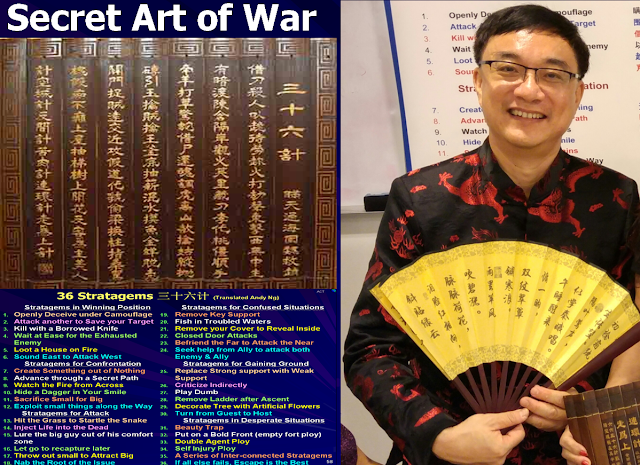 Not many know that Sun Tzu's grandson, Sun Bin 孙膑, was one of the creators of another military classic, called Secret Art of War 秘密兵法, now known as The 36 Stratagems or 三十六计. The 36 Stratagems details the exact tactic to use in 6 different situations. The first step is to assess your current situation and next is to select one of the 6 stratagems in your situation and apply them accordingly. Many Chinese believe that The 36 Stratagems provides answers to all the world’s problems. In fact our company Asia Coaching Training has since 2013, offers free 30-minute consultancy to our selected clients. The 36 Stratagems book is so secretive that until today, no one knows the author of this book. The form that we see today was only officially published in 1941. In short, although it is an ancient book, it is also a modern book. 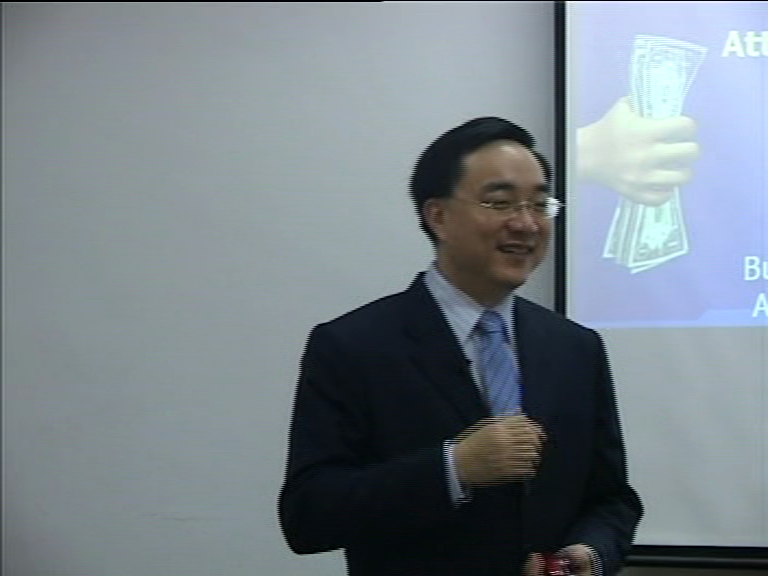 In the business world, the most common tactic used by many is stratagem no. 31 “Beauty Trap” or 美人计. Note that this stratagem is classified under “Desperate stratagems” meaning you only use beauty trap when you are very desperate. Beauty trap is not to be used in normal situations. So the next time you see a beauty lady knocking on your doors to promote a product or service, know that the vendor is very desperate. That’s why you never see Apple or Google employing pretty ladies for they are not desperate! Another commonly mis-understood stratagem is the last one “Escape is the best” or 走为上计. Many people would escape or give up at the first opportunity. Like in sales, many salespeople don’t follow up with prospects that say no to their proposal. Since this is the last stratagem, it is only to be used when you have exhausted all the 35 stratagems and hence the meaning is “If all else fails, escape is the best”.